In the most blatant case of false advertising since The Neverending Story, Paramount has refunded a New Zealand man’s movie ticket over what he says was a misleading trailer for Jack Reacher. 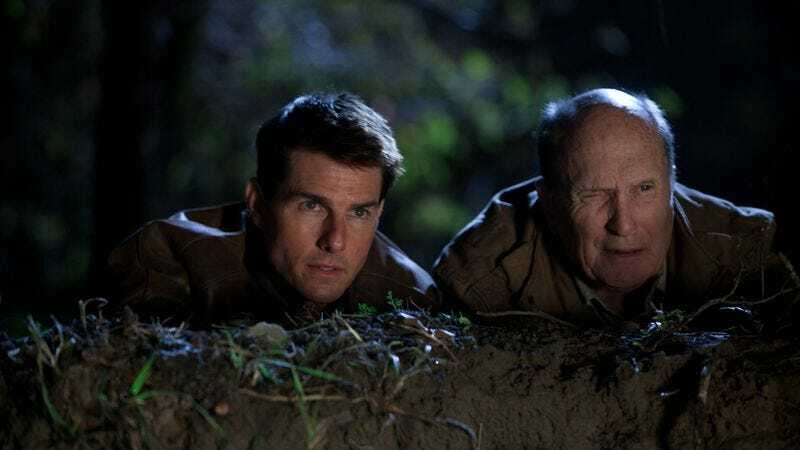 That man, J. Congdon, wrote to his country’s Advertising Standards Authority to say he’d been excited to see Tom Cruise play the hulking drifter who intimidates everyone, only to feel deceived because the movie didn’t include a scene of a cliff exploding he’d seen in the preview. “The explosion where the whole cliff comes down [was] the defining part of the ad that made me really want to go see the movie… aside from having Tom Cruise in it,” discerning film buff J. Congdon said, lamenting that he’d spent over two hours watching Tom Cruise crush people from very low angles, only to leave feeling like he’d been lied to because there was no exploding cliff. After hearing the grievances from New Zealand (which, as we’ve learned, takes movie portrayals very seriously), Paramount responded by pointing out that the scene was “a single split-second element omitted from a 130-minute long action film,” noting that it was not unusual for scenes appearing in trailers to be cut from the final film, and presumably readying a Jack Reacher: Exploding Cliff Edition Bluray. The studio also saw fit to refund Congdon’s money, likely to avoid any further bad publicity that could leave other viewers feeling lied to when they go see Tom Cruise play a huge man who can beat up everyone. Anyway, definitely keep your eyes out for this sort of thing in the future, because Paramount’s just giving away money now.